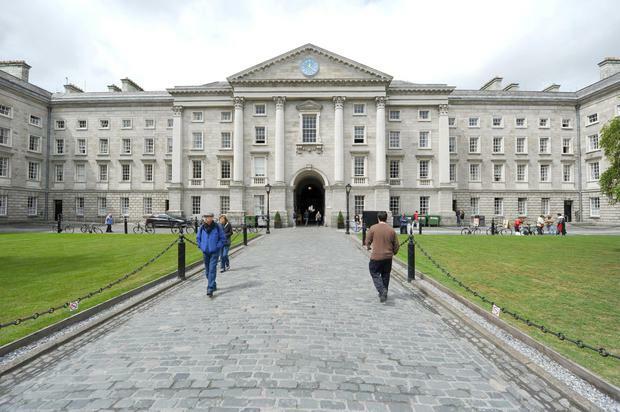 Students in Trinity College Dublin have voted down a proposal to slash the funding the campus’ ‘The University Times’ newspaper. The proposal to cut the paper’s funding followed its reporting of alleged ‘hazing’ at an all-male society on the campus. Reporters from The University Times were accused of placing a recording device outside a student’s apartment while an alleged hazing event was taking place. The referendum followed a petition that called for amendments to be made to Chapter 10 of the Unversity’s students union TCDSU constitution, gathered 500 student signatures. A total of 3,059 valid votes were cast in the referendum calling for funding to be slashed, and for the editor’s role to be turned into an unpaid role. Editor Eleanor O’Mahony said this would threaten the existence of the title. Staff at the paper have stood over their reporting of the ‘hazing’ incident. In the referendum, some 74pc of students voted against the measures to slash funding and no longer funding the editor’s position. “I’m over the moon that this referendum failed to pass and that students saw that this was a cynical attempt to shut down a newspaper in the wake of dissatisfaction with one story,” Ms O’Mahony said in an article published on the publication’s website.